My wife and I just moved into a new house. 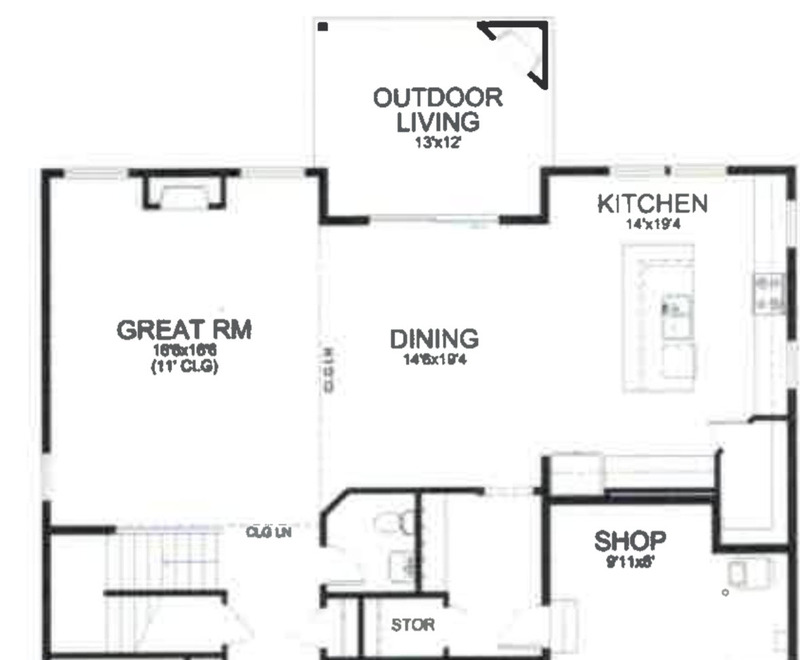 It's an open floor plan, built in 2018, with a combined dining/living room. 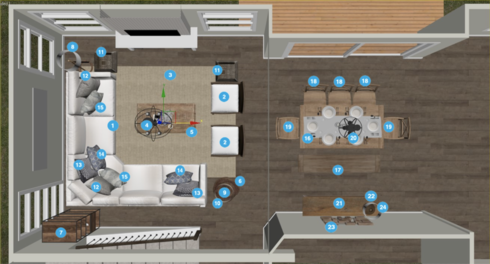 We're looking to start with the living room/dining design with you guys, and if all goes as planned, continue with the rest of the rooms in the house each month. Our budget is flexible and we emphasize quality (e.g. 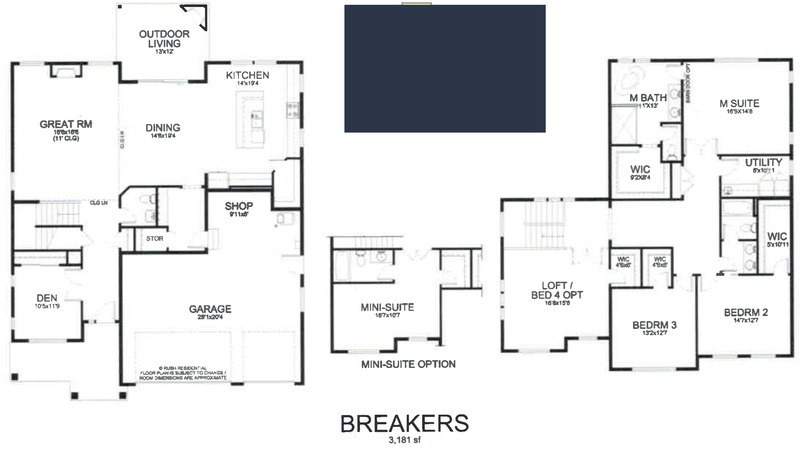 Pottery Barn over warehouse furniture), but we're also not looking to spend 20k on just a couch . We also emphasize comfort over design. 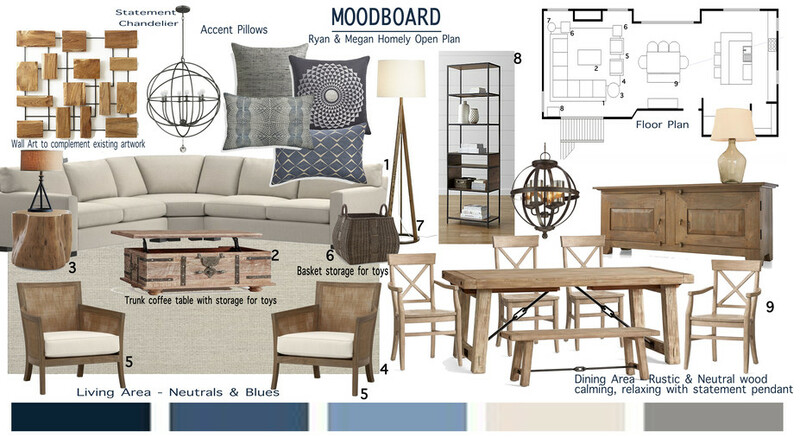 Hoping to get a layout that 'looks nice' but also works for our family (vs. just a show room that isn't how we actually live, if that makes sense). Anyway, we're open to changing just about everything in the living room dining room. Only things that'll stay are the bike canvas art on the wall and the TV over the fireplace. Our coffee table is nice but it may be too small for the room and if it doesn't fit the vibe, we'll move it upstairs. Thanks so much Tam. We love your design. Appreciate all the time and effort you put into making this vision come to life. We'll be sure to come back to decorilla for future rooms. Had a great experience. Thanks again and take care. 13 Mears Silver Medallion Pillow with Feather-Down Insert 20"
14 Cuomo Jacquard Pillow with Feather-Down Insert 22"x15"
15 Fazzani Silk Pillow with Feather-Down Insert 22"x15"
Quantity: 2 OverviewHandwoven rattan panels "upholster" Blake's sustainably sourced teak frame with a breezy, tropical appeal. 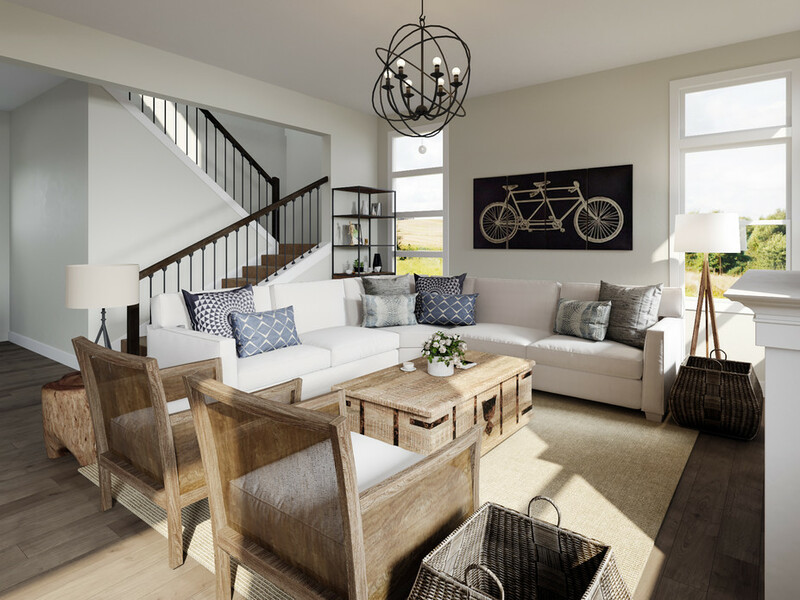 A pale grey wash lends a gently weathered look that instantly puts casual living rooms and family rooms at ease. The Blake chair's subtly curved frame is handcrafted in Indonesia using only plantation-grown solid teak certified by the Forest Stewardship Council (FSC), a nonprofit organization that encourages responsible management of the world's forests. A deep, thick seat cushion relaxes with leisurely support in a cotton-blend fabric freshly tailored with crisp self-welting. The Blake Grey Wash Rattan Chair with Fabric Cushion is a Crate and Barrel exclusive. Details Frame is benchmade using solid FSC-certified teak with handwoven natural rattan panels and a grey wash finish Nylon webbing suspension system Soy-based polyfoam cushion encased in synthetic ticking Made in USA and Indonesia See product label or call customer service at (800) 967-6696 for additional details on product content Discount link available to project holder only 30"x30"
Teton Natural Solid Wood Accent Tabl (Teton Natural Solid Wood Accent Tabl) OverviewHewn from acacia trunks selected for their intriguing shapes and live edge, Teton is ruggedly rustic, naturally sophisticated and utterly unique. Hand finished to a smooth surface, each cross section displays beautiful grain and rich surface detail. Heavy-duty casters tucked underneath make it easy to roll the table where it's needed, as a footrest, extra seat or side table. As a natural wood product, the trunk will vary in size and shape, exhibiting superficial splits, knots or fissures. Group them together as organic-inspired bunching tables. The Teton Accent Table is a Crate and Barrel exclusive. Details Solid plantation-grown acacia wood Clear water-based sealer, acrylic topcoat and clear wax polish Hidden heavy-duty casters Indoor use only Dust with soft dry cloth Made in India Discount link available to project holder only 20"x20"
Knox Tall Open Bookcase (Knox Tall Open Bookcase) OverviewDoors, shelves and drawers of solid walnut are set within slim, architectural iron frames in the clean-lined Knox collection. The versatile mix of open and closed storage provides a versatile design that works well in any room. Tall bookcase stacks walnut shelves at varying intervals to add visual interest and to accommodate a wide range of book sizes and display items. The Knox Tall Open Bookcase is a Crate and Barrel exclusive. Looking for inspiration? Here're 7 great room divider ideas. Details Solid walnut Iron tube frame with black finish Levelers Made in Mexico Discount link available to project holder only W 28" D 18" H 78"
Jackson Dark Brown Floor Lamp Limbs of dark brown ash form a natural tripod base to give this modern floor lamp a subdued, geometrical silhouette. A white linen drum shade and white cloth cord add clean contrast. Discount link available to project holder only Overall Dimensions Height: 60.5" Diameter: 18" Base Height: 50" Diameter: 13.5" Shade Top Diameter: 17" Shade Bottom Diameter: 18" Shade Height Height: 12" Cord Length Height: 60"
Quantity: 2 Toys, towels, magazines and more take their place in this lovely large basket, detailed with a distinctive weave that patterns each panel. Graceful curved handles make for easy toting. Discount link available to project holder only Width: 20.5" Depth: 20.5" Height: 20.25"
Quantity: 2 Silk takes color beautifully revealing subtle tonal variances for depth and dimension. Our beautiful Trevino pillows are crafted of handspun raw silk in a range of luminous colors and flecked with its characteristic nubby texture. Pillow reverses to solid cotton velvet. Our decorative pillows include your choice of a plush feather-down or lofty down-alternative insert at no extra cost. Discount link available to project holder only Width: 20" Height: 20"
Quantity: 2 Chris Mestagh's design embroiders this pure linen pillow with a bold, contemporary medallion in silky rayon yarn. Pillow reverses to solid. Our decorative pillows include your choice of a plush feather-down or lofty down-alternative insert at no extra cost. Discount link available to project holder only Width: 20" Height: 20"
Quantity: 2 Cuomo revives epingle, a weave technique of uncut velvet that was used for centuries, especially for making royal apparel. Designed by Neisha Crosland, the pillow is jacquard woven with a tight-looped weave for lots of visual interest. Our decorative pillows include your choice of a plush feather-down or lofty down-alternative insert at no extra cost. Discount link available to project holder only 22"x15"
Quantity: 2 Designed by Manish and Madhulika Tibrewal, this artisan-crafted pillow embroiders delicate spirograph floral shapes on pure silk. Pillow reverses to solid. Our decorative pillows include your choice of a plush feather-down or lofty down-alternative insert at no extra cost. Discount link available to project holder only 22"x15"
Basque Grey Wash Buffet OverviewHandcrafted entirely of sustainable solid mango wood, Basque recalls the heft and character of a European farmhouse antique. Made of hand-planed planks with authentic peg detailing, the buffet has a light appearance thanks to a grey wash over a light brown stain. Bold in proportion and simple in design, the beauty of this buffet lies in the mango wood's active open grain and naturally occurring knots that make each piece unique. Raised panels with beveled edges add character to a pair of doors, which when opened, reveal two fixed shelves. The Basque Grey Wash Buffet is a Crate and Barrel exclusive. Details Sustainable solid mango wood Grey wash over light brown stain with lacquer and wax finish Hand-planed wooden planks Peg detailing Mortise and tenon joinery 2 fixed shelves Cast brass pulls and rustic wood hasp closures Naturally occurring grain and knots Made in Indonesia Discount link available to project holder only W 67".5 D 18" H 33"
Dining area artwork (Marcel Teak Wall Art) Add organic interest to living room, bedroom and dining spaces with this stunning piece of wall art. Composed of rectangles of solid teak, each displaying its own unique grain and color, fixed to an open wire grid, this dynamic art piece unites modernist design with natural rusticity. Discount link available to project holder only Overall Dimensions Width: 38.75" Depth: 1.75" Height: 38.75"
navy throw This traditionally styled Eastin Dual Cable Throw comes in several fashionable colors. Enjoy warm, soothing comfort with this soft knit throw. Features 100% Acrylic Machine washable Product Details Material: Acrylic Technique: Knitted Cleaning Method: Machine Wash Reversible: No Country of Origin: China Discount link available to project holder only Overall	50'' W x 60'' L Overall Product Weight	2.16 lb. Khaki Throw (Eastin Dual Cable Throw Khaki) This traditionally styled Eastin Dual Cable Throw comes in several fashionable colors. Enjoy warm, soothing comfort with this soft knit throw. Features 100% Acrylic Machine washable Product Details Material: Acrylic Technique: Knitted Cleaning Method: Machine Wash Reversible: No Country of Origin: China Discount link available to project holder only Overall	50'' W x 60'' L Overall Product Weight	2.16 lb. Navy Blanket Gear up for movie marathons or much-needed naps with this understated throw blanket, doubling as an inviting accent and a source of warmth. Crafted of 100% polyester, this piece features a fleece design and a versatile solid hue that is sure to blend with your existing arrangement. For easy upkeep, just toss this blanket in the washing machine on a cold cycle, then let it tumble dry on low heat. Features Material: 100% Polyester for the ultimate in warmth and softness Solid pattern, heavy weight and cozy Easy care feature means that it's machine washable and dryable Machine wash cold Tumble dry low Shed free Product Details Material: Polyester Cleaning Method: Machine Wash Reversible: No Country of Origin: China Discount link available to project holder only King/California King Size Overall	90'' W x 102'' L Other Dimensions Overall Product Weight	4 lb.